Damian moved to Gloucester in 1987 to teach P.E. at Saintbridge School, before moving on to Chosen Hill School, Churchdown, in 1990. A skillful utility back, Damian gained 210 caps, at Centre, Fly Half and Scrum half, playing during the transition from amateur to professional rugby at the club. He went on to represent Scottish Exiles and then Welsh Exiles, in an attempt to play International rugby, and being born in Tenby, South Wales, was offered a chance to fulfill that dream with an offer to play for Newport RFC, which the Gloucester boys called his ‘Welsh holiday’, as this only lasted a short time before returning to Gloucester. He was part of the Gloucester team that won the first National Tens Competition held at Kingsholm in 1993. 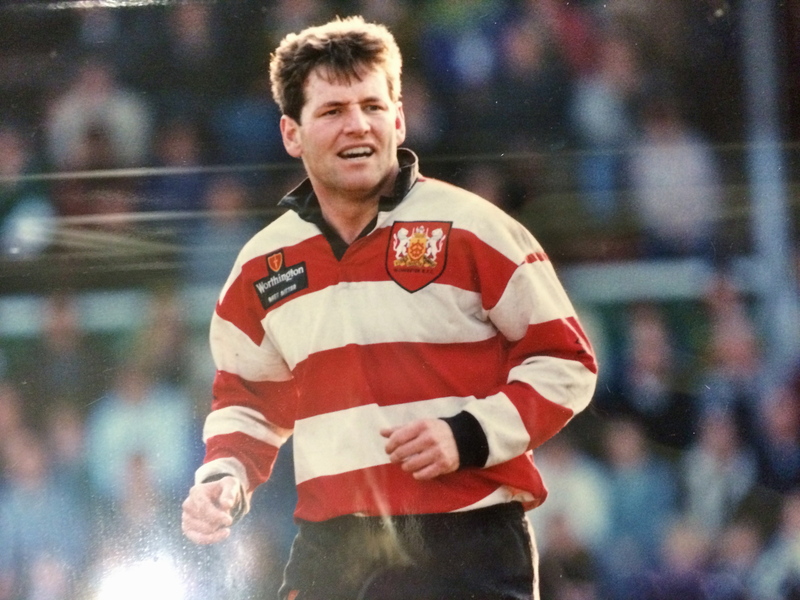 After finishing his playing career at Gloucester, Damian continued to teach and coach sport and took up a post at Hereford Cathedral School as Director of Sport.